Aviation safety is a worldwide concern. European researchers want to prevent further catastrophes with the help of textiles tested in explosive ways. At a British research centre experiments are being conducted into the effects of bomb blasts. 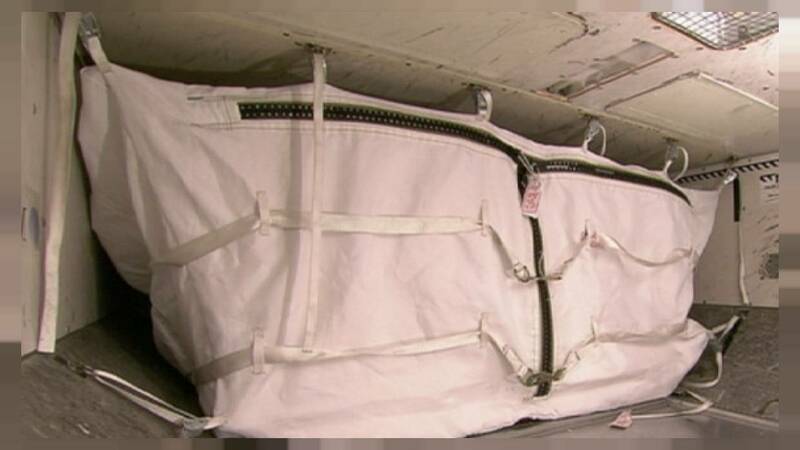 Researchers have developed a textile container designed to prevent the effects of small bombs hidden inside luggage which is then carried in aircraft cargo holds. The first explosion barely affected the prototype which has been developed under a European Union research project called Fly-Bag. “The container has been constructed with a combination of different layers of technical textiles,” said Donato Zangani. “Each has its own characteristics. Some textiles have been positioned in different places to withstand the penetration of fragments flying out during the explosion. Some other textiles have been designed to be able to expand in a controlled way so the container can stretch without tearing itself apart. Damaged luggage is then taken out of the Fly-Bag and new baggage put inside for the next test in which the amount of explosive has been increased by 50 percent. But again the bag holds tight. A further, more powerful explosive charge, will provide the ultimate test. But first, in Sardinia, Italy, inside a maintenance hangar at Olbia airport, scientists have been trying to understand the realities of routine baggage handling. A Fly-Bag has already been installed inside a commercial plane. Airline companies will be the main end-users of the textile container, and the local carrier has played its role in developing the prototype. Fabio Caronti of Meridiana Maintenance said his company wanted to offer travellers a new tool to guarantee their safety. Meanwhile back in the UK, the ultimate test -double the original explosive charge is set off and the bag still holds. Researchers say the successful testing is a first step to ensuring that bomb-proof textiles could soon really improve aviation safety in our increasingly crowded skies.